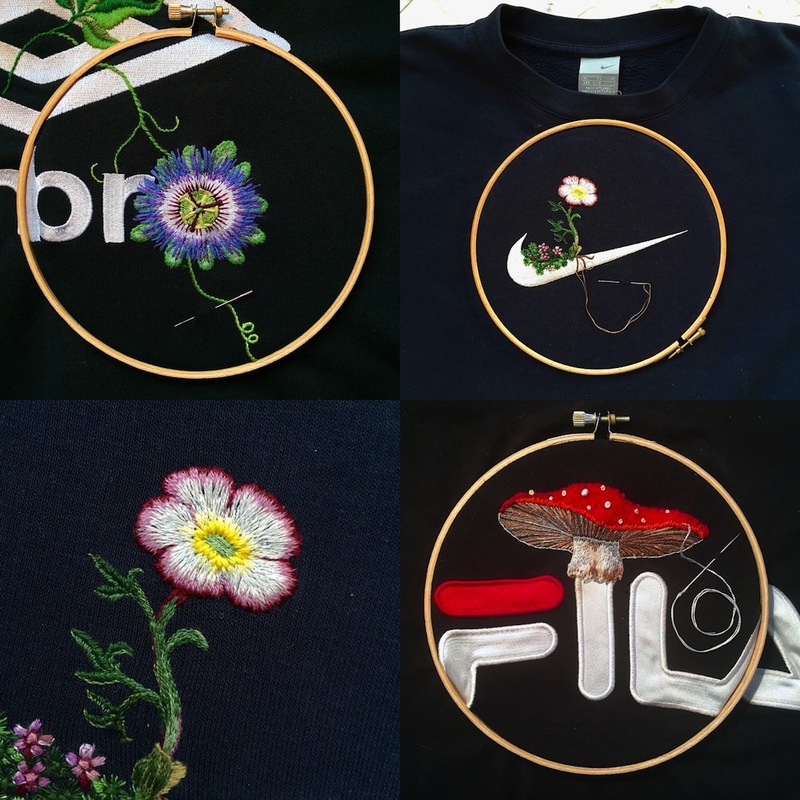 Share the post "James Merry Enlivens Sportswear Logos with Embroidered Plants"
The artist James Merry enlivens logos of sportswear companies by adding stitched flora to vintage clothing. 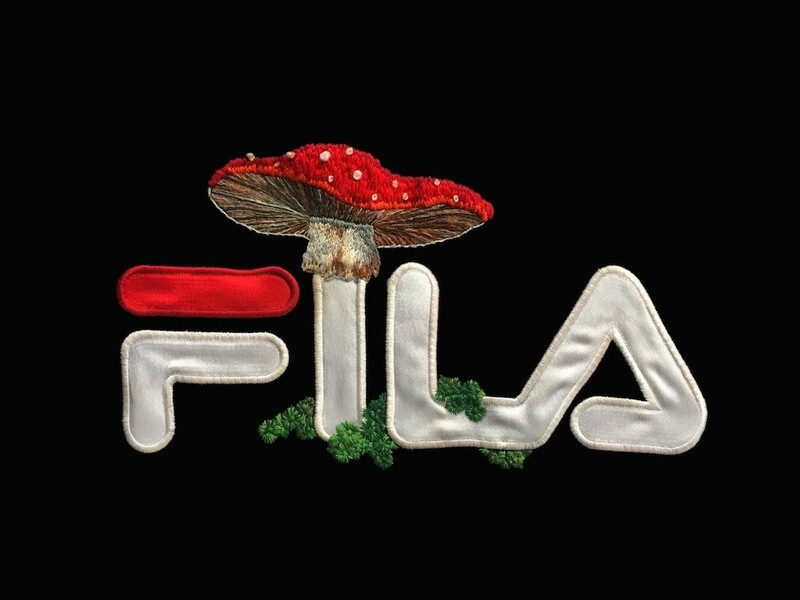 For instance a glacier flower and moss grow on a Nike sweatshirt, and a FILA logo has a mushroom cap on top. 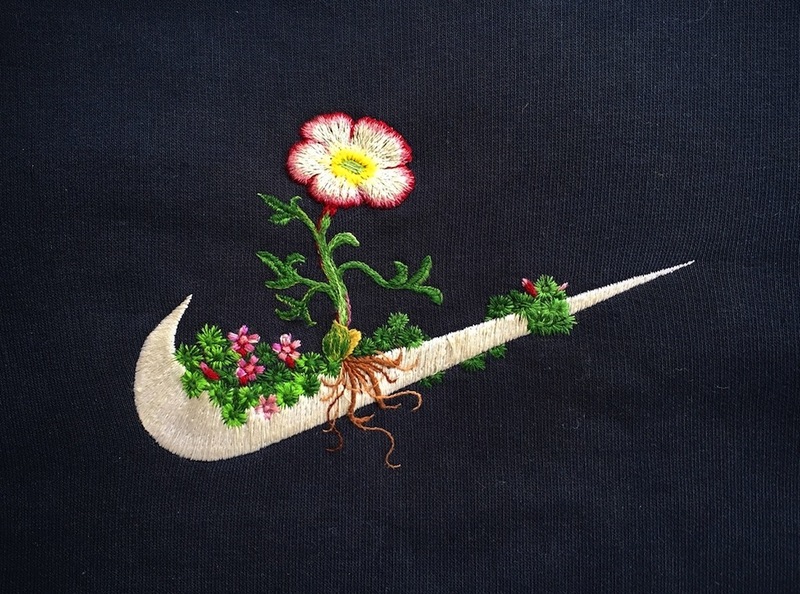 He thinks it was some kind of a silent protest — to take something that was super urban and machine-made and barren, and fertilize it, forcing it, for example, to flower by embroidering a glacier flower and moss on it. Merry collaborates with Björk and creates many of her extravagant costumes for stage and music videos. 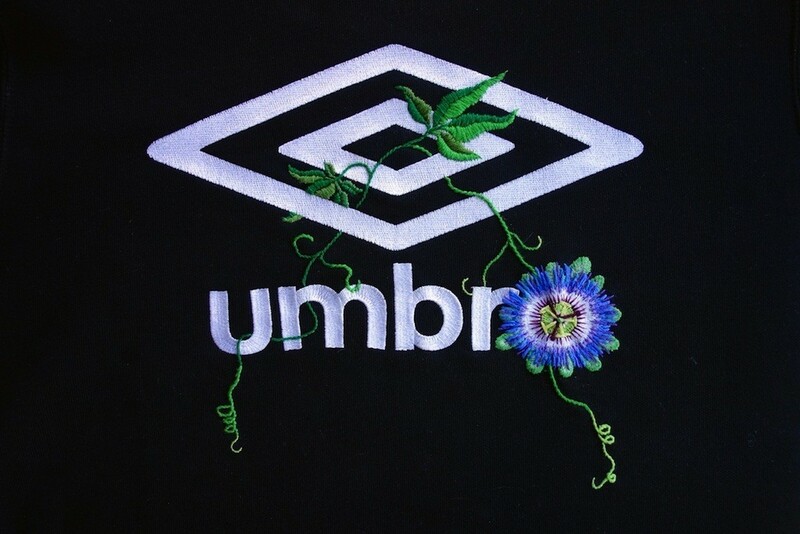 Read his interview on i-D.